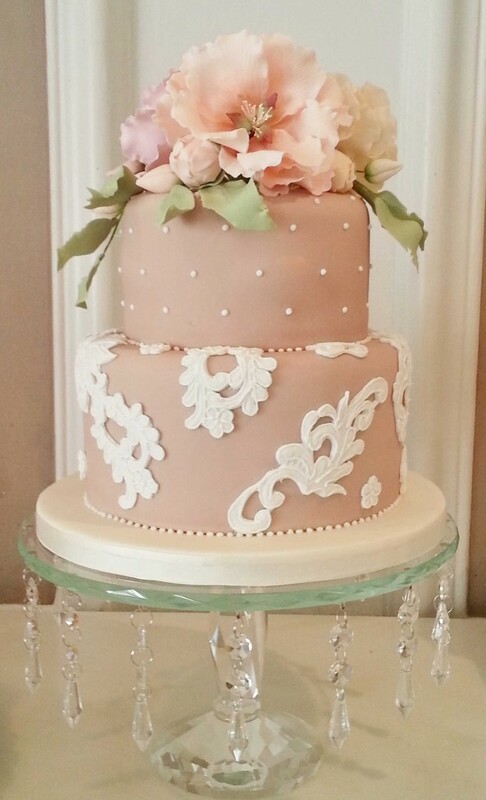 Two tier wedding cake at The George in Rye, Sussex. 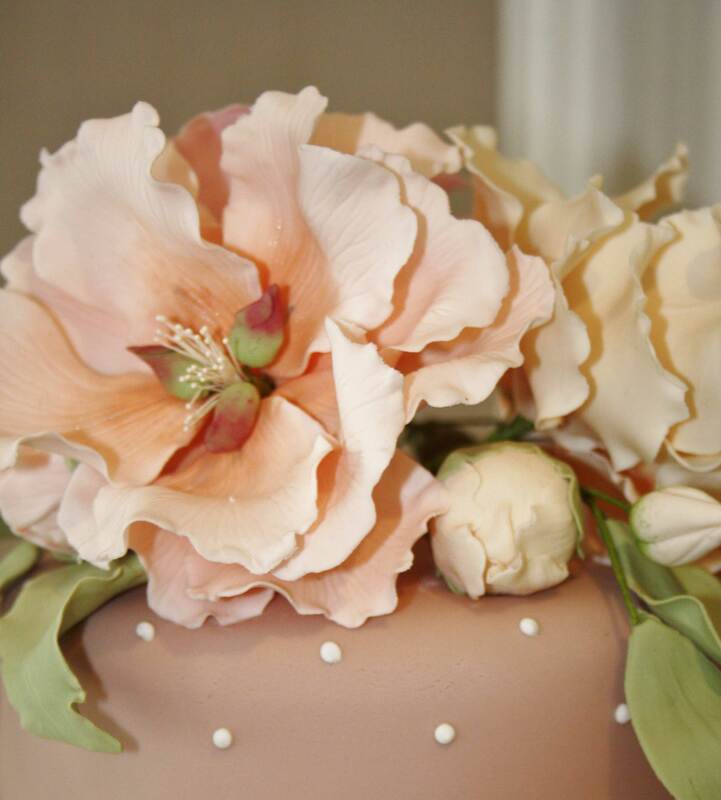 Iced in pale “milky coffee” colour with sugar overpiped lacework and sugar full bloom peach, ivory and pink peonies and buds, sugar foliage. Finished with piped beaded edge. Cake serves 70 finger portions.